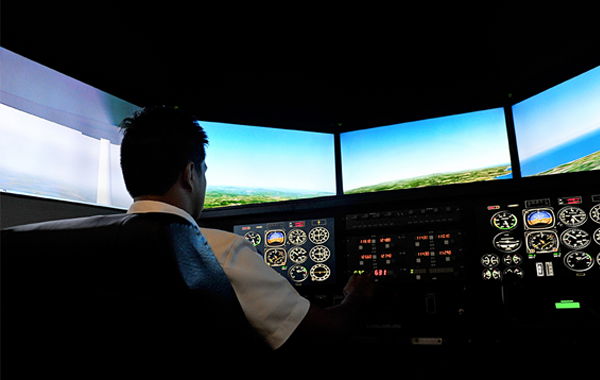 IAU’s Bachelor of Science in Aviation Technology Major in Flying (BSAT) is a comprehensive pilot training program prescriptive of the Commission on Higher Education’s (CHEd) curricular mandate and the Civil Aviation Authority of the Philippines (CAAP). This translates to transformative holistic learning as the program integrates general education, aircraft maintenance and research courses designed not only to equip students with a thorough knowledge of the workings of an aircraft but also to develop fully their multi-potentialities. Non-degree pilot training programs are also offered such as: (1) Private Pilot Ground Course; (2) Commercial Pilot Ground Course; (3) Instrument Rating; (4) Multi-Engine Rating; and (5) Pilot Instructor Courses. So, students who are­­ interested to pursue flying have the option to enroll in a bachelor’s degree or non-degree pilot training programs. In keeping true to its mission of enabling a positive learning climate for the learners, the University provides state-of-the art facilities, amenities, and equipment. Among these are 2 fully CAAP approved flight simulators, a virtual aerodrome, 7 aircraft simulation design consoles, a speech laboratory, 5 Cessna 150’s, 2 Cessna 172’s, 1 Piper Aztec Multi-engine, air-conditioned classrooms and a 3.5 hectare fully owned hangar and taxiway. We also have our own CAAP Approved Maintenance facility to ensure our fleet are maintained in accordance to the safety procedures of the authority and the manufacturers. Hence, graduates and completers of the BSAT and non-degree programs can tread on different career pathways and job opportunities such as airline flight crew, charter pilot, aerial spray pilot, corporate pilot, airline ground crew, air traffic controller and military/police service. So what’s our edge among the other flying schools? In IAU, the sky is not just the limit. It is vision in action in the service of the world.